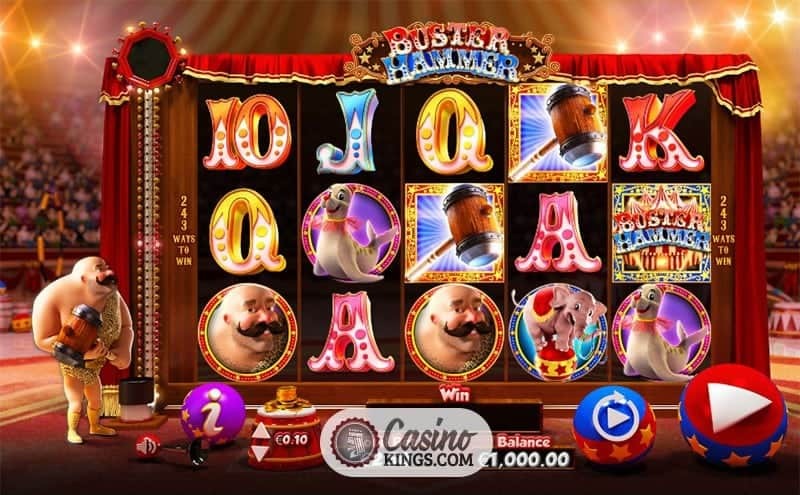 Buster Hammer Slot, not to be confused with Bust da Hammer. 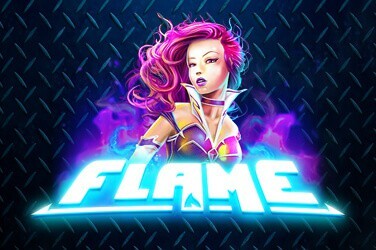 Buster Hammer is a circus performer and the eponymous hero of this five reel, three row, 243 Ways online slot from NYX Gaming Group, the award-winning global gaming conglomerate that brought us such entertaining titles as Great Wild Elk and Foxin Wins. Buster Hammer, a star of the circus, a strong man beyond compare! In full circus strong man regalia – off-the-shoulder leopard-print leotard and whopping great hammer – Buster stands by the reel case twizzling his hammer with interest. Not in a menacing way. In a friendly, “I’m going to smack the heck out of something to prove my strength” kind of way. The reel case itself is styled like a stage with huge velvet curtains draped along the side, while the backdrop is resplendent as a brightly-lit circus tent and an eager crowd. 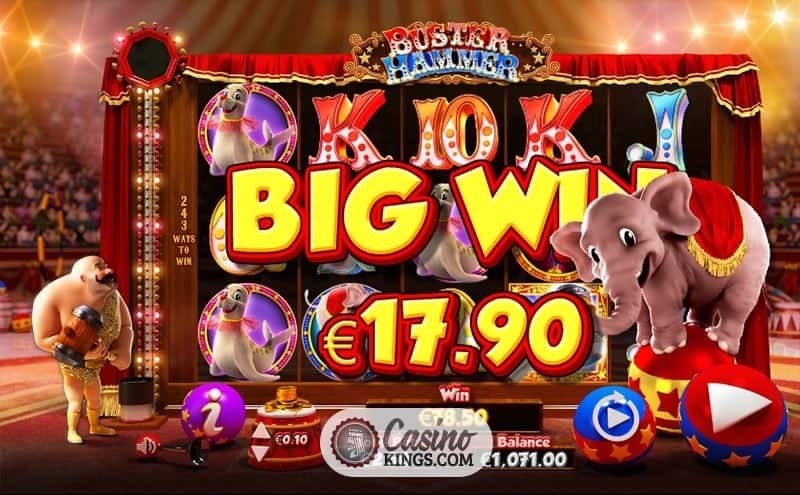 Our gaming symbols are circus-styled 9s through Aces as our low-payers, and a circus Lion, Elephant, Sea Lion and Buster himself stand proud as our high-paying value symbols, while Buster’s ever-presence by the side of the reel case is explained when we land a Wild Hammer as part of a winning combination. Buster raises his hammer and smashes down on the High Striker by the side of the reel case. 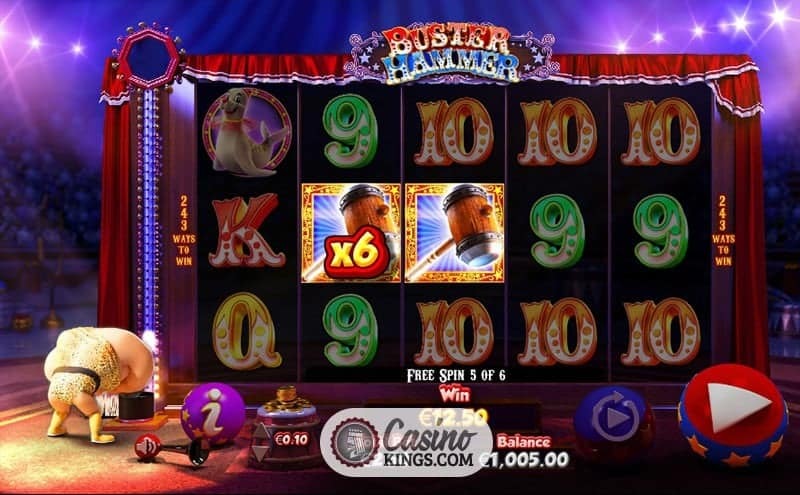 The lights spark and the bell rings, revealing a Wild Hammer Multiplier that multiplies our winning bet by up to x5. Smashing! 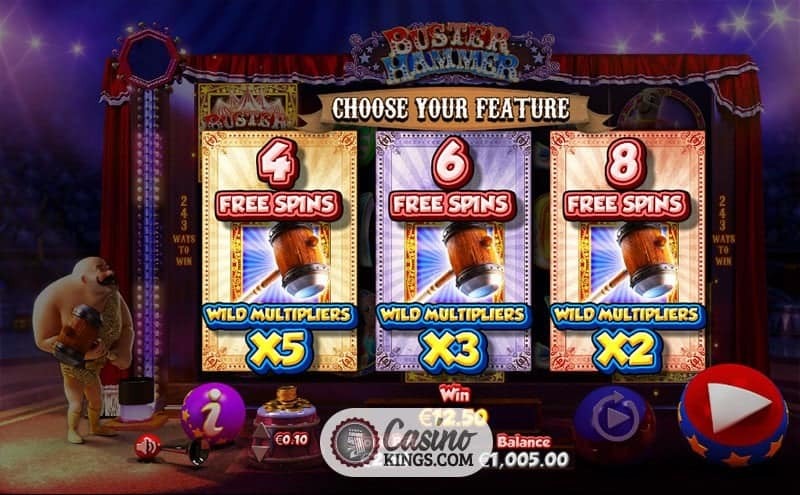 Landing three or more Circus Tent Scatters will also yield a Free Spins feature in which we could again win a total Wild Hammer Multiplier of up to x75. 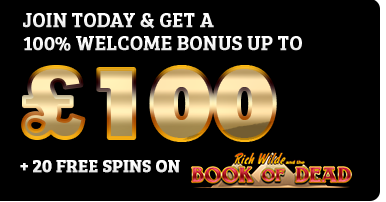 We must first choose our preferred bonus game – between 8, 6 or 4 Free Spins with Wild Hammer Multipliers doubled, tripled or quintupled! It doesn’t take a math genius to figure out that deserves more than one exclamation mark! 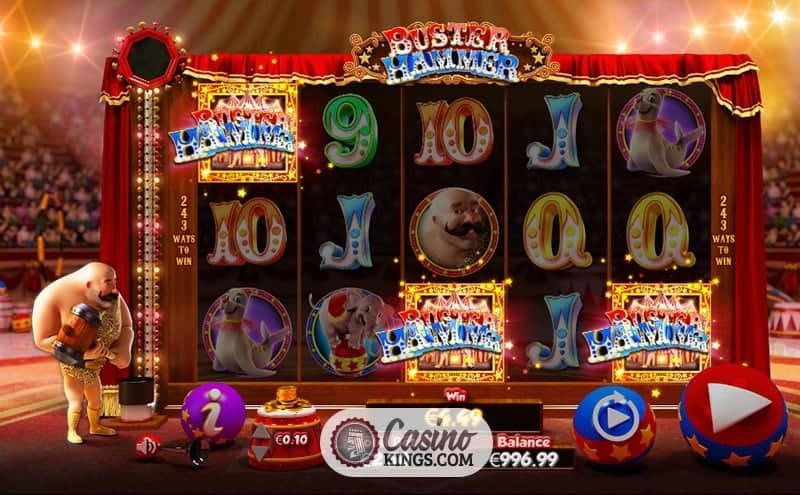 Buster not only brings personality to this medium-high variance online slot from NYX Gaming Group, he also brings his hammer. 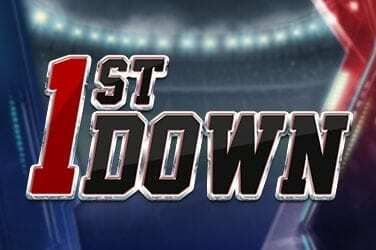 And boy does he bust it! 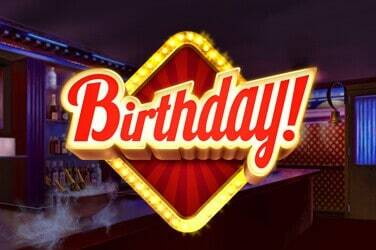 There is plenty of action to keep our interest piqued here – as you would both hope and expect from the circus! 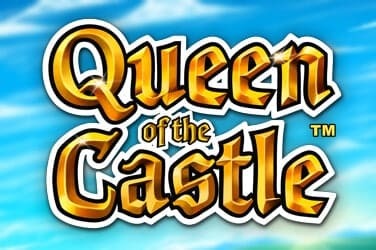 – with the game design, betting interface and 243 Ways system working us nicely to the well-implemented multipliers. And when jolly big hammers and figures like x75 multipliers start being bandied round, it’s time for everybody to sit up and take notice.